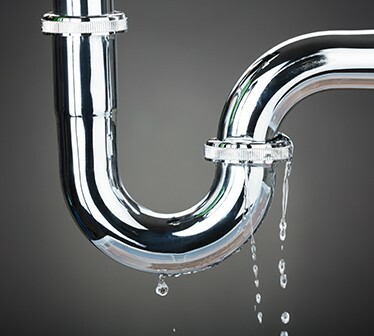 Water leaks that go undetected or aren’t repaired within an appropriate time frame can cause major damage to your property. 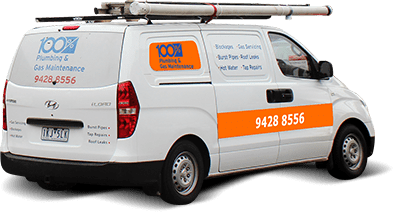 If you have burst pipes, roof cracks or blocked storm drains, call our team for prompt water leak and sewer drain service throughout Melbourne – we’re always happy to use our extensive plumbing experience for your benefit. A burst water pipe is not always easy to detect when located in your walls, under concrete, under pavement or underground. This means it can easily go unnoticed, and therefore turn into a much bigger problem. 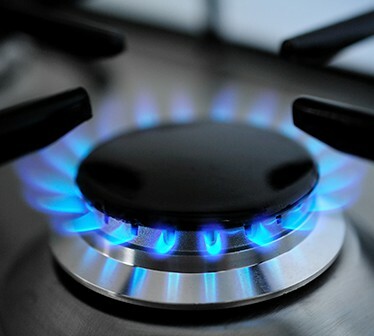 An unusually high water bill is often the ﬁrst sign of a problem, indicating that serious water wastage has occurred. 100% Plumbing Maintenance offers specialised leak detection equipment that can locate a leak even in the most difﬁcult places, such as under concrete slabs or in solid brick walls. If you’ve noticed your bills have skyrocketed although your usage patterns have not changed, a burst pipe may be the culprit, call us for a quick resolution to your plumbing problem. 100-year ﬂoods seem to be happening every 10 years in Melbourne. With staff on hand to cover emergency roof leaks, we can provide the right solution to your problem. Roof maintenance, we now have many customers requesting 6 or 12-month roof and gutter cleans because they know this will help prevent leaking roofs. Our system management program can generate reoccurring jobs to allow you to be notiﬁed by our friendly staff, your roof is due to be cleaned. The best time of the year is after autumn when the leaves drop and in December just before the summer storms hit. Are your stormwater drains blocked? 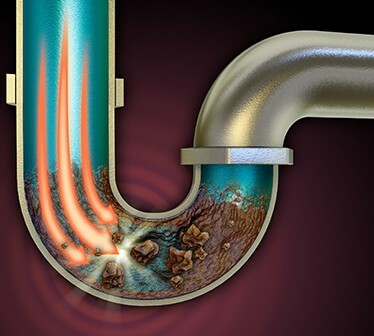 If water is overﬂowing out of the bottom of your downpipes and stormwater grates, you’ll need our drain cleaning services. Melbourne locals can give us a call for prompt assistance, with our team using Electric drain cleaner and hydro-jetting equipment and CCTV camera to view any damage to the drains. If your tap is dripping or leaking, it could be a sign of worn internal parts such as a tap valve or mixer cartridge. We service, repair, replace and install all types of leaking tap ware. This includes kitchen and basin mixer taps, veggie spray taps, hand held showers, garden taps, and water saver devices. Our technicians carry a large range of spare parts including new kitchen and basin mixer taps. 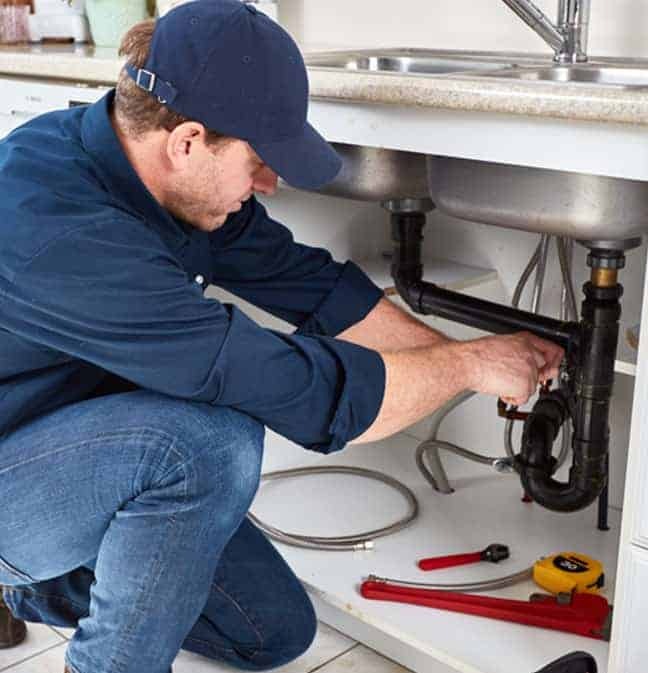 No matter what sort of water leak you are experiencing, be it from your taps, roof or pipes, 100% Plumbing Maintenance are the team for the job. Can you hear your toilet constantly ﬁlling? This is a sign your cistern is due for a service. We would be happy to help. 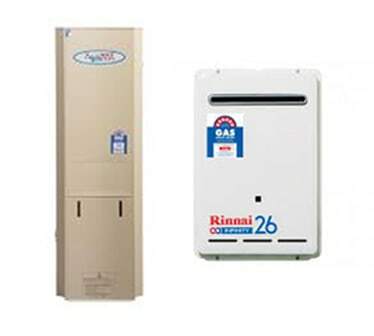 Our technicians carry most spare parts for leading toilet brands.